Playable Atlantean Race that specializes in a warrior-centric play-style while having the stature to show for it. With Several Passives, Traits and Powers. Compatible with all DLCs and other added races. 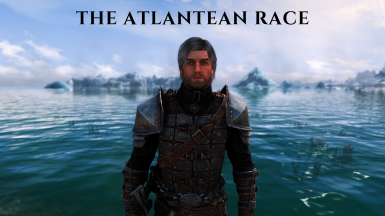 This is an alternative main file version of 'The Atlantean Race' for players who would prefer not to have any of the drawbacks associated with playing as this race. 1) Retain 100 Starting Magicka, x1 Magicka Regen, x1 Spell Magnitude. 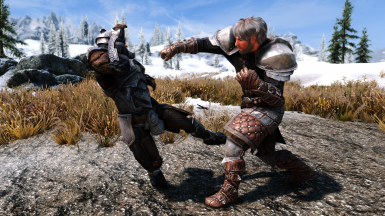 2) No penalties to Lockpicking, Pickpocketing and Sneaking abilities as well as retaining normal Movement Sound. 1) Cold Resist Changed From 25% to 75%. [This Better Represents Atlanteans Being Able To Withstand Piercing Cold Environments Of Oceanic Waters]. All who hail from the mystical lands of Atlantis are blessed with enhanced physical prowess. Accordingly, Atlanteans deal and resist greater amounts of physical damage whilst also having the stature to show for it. During pinnacle moments, they can knockdown anyone that stands in their way. Retain the innate ability to breathe underwater and swim much faster. 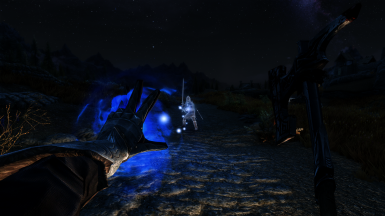 Starting Magicka = 50, Magicka Regen Rate = 0.5x, Spells Cast Are 50% Less Effective. Atlantean Size, Density & Mass Prevents You From Being As Proficient In The Arts Of Stealth. Sneaking, Lockpicking & Pickpocketing Is 25% Harder. The Sound Of Your Movement Is Also 25% Easier To Detect. NOTE: There is an optional main file version which has no nerfs applied to magicka/stealth whatsoever if you prefer. The Atlantean outer appearance resembles that of other humans (at least as depicted in the latest DC 'AquaMan' Movie) except that they are significantly greater in size, strength and durability. So upon superficial observation, it isn't outright apparent that one is actually Atlantean despite the size. It's whats on the inside that counts, after all. 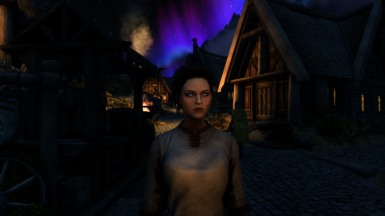 For this reason, this race will make use of the existing Nord presets and related assets in your game. The intention was to also allow players to have the freedom of using whatever custom assets they please when designing characters of this race. -Skyrim Special Edition. Make sure you have DLCs enabled for Special Edition. They're Enabled By Default. -IDRS - Improved Disabled Race Scaling - Prevents size scaling to 1.0 when interacting with certain in-game objects. -Player Size Adjuster & 1st Person Camera Fix - Allows the alteration of 1st person camera view according to the heights of different races. 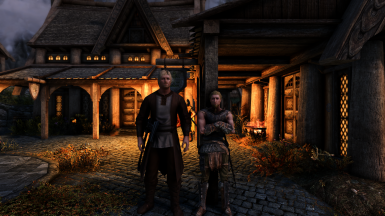 Tested to be compatible with all DLCs and other race mods so long as you have installed RaceCompatibility For SSE. However, if you wish to download this and have already got The Atlantan Race installed then uninstall that as this file has the same ESP name. 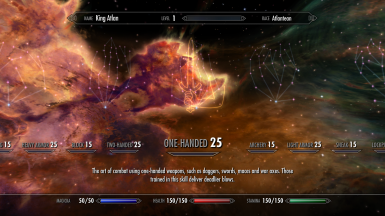 This was done so that you could use this mod seamlessly on existing Atlantan playthroughs. If you feel like tweaking certain aspects of this file using the CK or SSEEdit, just search for records beginning with the prefix 'RXY'. The file aims to balance out the slightly powerful physical combat prowess of Atlanteans with compromizations applied to stealth and magicka-related skills/stats. 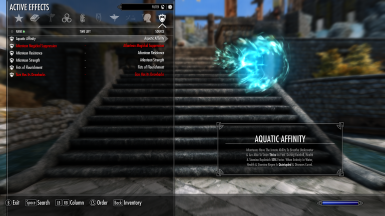 The Atlanteans will have: -50 Starting Magicka, -50% Magicka Regen and 50% Less Effective Spells. Greater size also has its Drawbacks: 25% Reduction In Sneaking, Lockpicking and Pickpocket Abilities. The sound caused by your movement will also be 25% easier to detect. These changes should better encourage a pure or specialist warrior-centric play-through. While you are now less potent in the stealth and magic sector, it's not to say that you can't become a revered sneak thief/assassin or an established wizard later on in your play-through if you really wanted to. You just now actually have to put proper effort (workaround) into attempting to master skills other than those relating to direct physical combat. The nerf changes to sneak, lockpicking, pickpocketing and movement sound would make sense as with increased size, density and mass comes drawbacks to proficiency in the stealth department. Your presence ought to be more detectable. Your manual dexterity in the ways of locksport and copping items whilst on one's person would also be hindered with increased hand size. Atlantean physiological order expends extensive energy resources in the development & maintenance of exceptional physical condition. Consequently, the majority of processes which involve the storage & utilization of magickal energy are typically - though not always - hindered in Atlanteans. Atlantean physiology is slightly different to that of humans. One difference is that the anatomical structure of Atlanteans is of higher density, allowing damaged tissues to have enhanced interactions with factors that mediate the healing process. Increased Density allows Atlanteans to withstand great pressures at great oceanic depths and is also a factor in them being able to withstand drastic displacement forces such as the Unrelenting Force Shout. Atlantean blood possesses a greater concentration and more diverse array of regenerative factors that also contribute to the advanced healing relative to other human races. This helps to increase the overall durability of Atlanteans significantly. This is a requested file based on the previously published 'The Atlantan Race'. Many questioned the lack of water-related abilities and the supposed typo of the Atlantan racial name. However, that race is actually completely unrelated to the commonly known water-dwelling denizens of Atlantis despite having many things in common. So that's why this is published as a separate file. 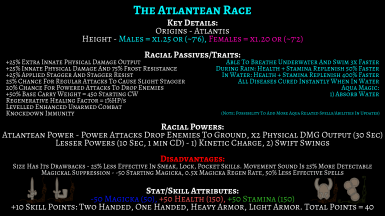 Both the Atlantans and Atlanteans have greater levels of strength/durability so I've added a few extra Aqua-related abilities/passives to this file in order to add distinction to the unique capabilities of the Atlanteans away from a race which shares nigh identical physical strength capacities. 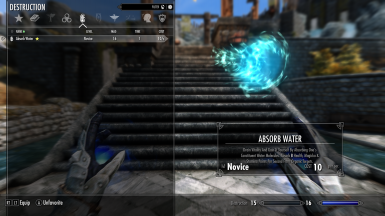 1) Add More [Custom FX] Aqua Magic Spells/Abilities/Lesser Powers e.g. Hydro Cloak, Torpedo, Tidal Wave, Make It Rain etc. 2) Minor QoL Changes Such As Being Able To Absorb Water From Any Water Source To Replenish Vitality.